Fall is the perfect time to add this outerwear staple to your wardrobe. It’s the kind of piece that gets gets better with age and will (surely) outlast most trends. Bonus points: It pairs with pretty much anything—from your edgiest boyfriend jeans to your most feminine dress. Looking to extend the life of one of your summer dresses? A moto jacket, a casual dress, tights and boots make this the perfect autumn outfit. This formula works for date night and casual weekend wear, too. Nothing says “end-of-the-day” like tossing on this stylish layer over your everyday workwear. Be ready with a suitable sidekicks—like slim black pants, a bold fall-colored blouse and D’Orsay flats. Take athleisure for a fall spin with a moto jacket. Slip into cozy, fleece-lined leggings topped by a chunky sweater and your favorite sneakers. The moral of the story? Moto jackets are a wardrobe workhorse. They’re versatile enough to wear with colored skinny jeans, soft corduroys, and patterned leggings. Skirts and dresses will likewise benefit from a moto-jacket matchmaking. 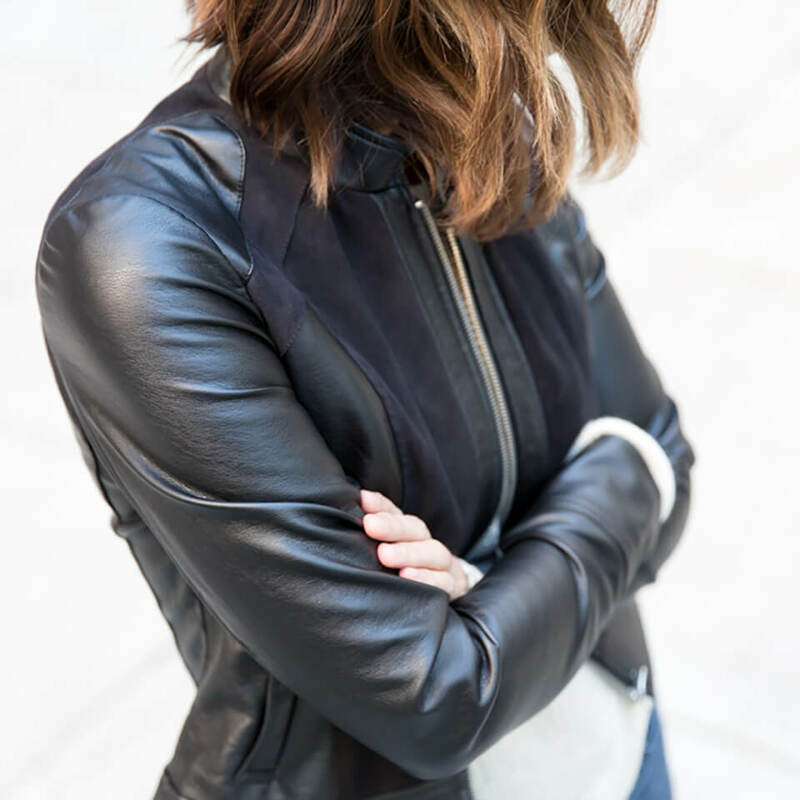 Are moto jackets a must-have for you? Tell us in the comments!